What kind of toothpaste should I choose (or does it really matter)? When shopping for toothpaste, we are really faced with a monumental choice. Do we go with whitening, baking soda and peroxide, enamel protection, total care, cavity fighting, or do we get the ones with the minty crystals, or the gel? There are various flavors, textures, and purposes. Expert-recommended toothpastes cover so many different varieties and brands, so how do you know what to choose? And then there are all the DIY options scattered across the Internet and Pinterest. Does oil pulling really work, and what about just brushing with baking soda? Should you be swishing with peroxide once or twice a week? Should we be going back to the old days and using bark to floss our teeth? The options are endless, it seems. So how do you choose the best option(s) for you? 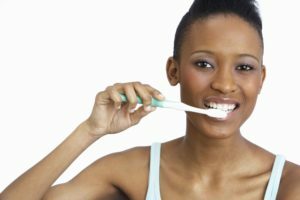 What should you be using to clean your teeth? Which products should you avoid? Dentists, orthodontists, and pharmacists have all weighed in on which toothpastes professional recommend. Your dentist can help you determine your specific toothpaste needs, and which type of toothpaste is best for you. Over the years, there have been a number of helpful guides to the best toothpastes that have been published. These can certainly help you choose which toothpaste is best depending on your specific needs. Reviews of toothpaste brands can also be helpful when selecting a brand that has had the most success among consumers. Make sure that the toothpaste you buy bears the ADA (American Dental Association) seal of approval. This means that the product has been tested for safety and has proven its effectiveness through controlled clinical trials. Don’t overuse your toothpaste. Remember to use a pea-sized amount—that’s it. And brush at least twice a day for 2 minutes each. The average adult tends to brush for only 20 seconds. So set a timer on your phone or use an egg timer to make sure you are brushing as long as you need. Consult your dentist for your specific toothpaste needs. When you are in for your check-up, ask your dentist or hygienist which toothpaste they would recommend based on your dental needs. They can point you in the right direction and help you eliminate some of the guesswork. Most toothpastes share a lot of the same ingredients, so getting direction from your own dental professionals is key. Choosing a toothpaste that fits your needs does not have to be a monumental or intimidating process. There is a toothpaste that will fit you (and your budget) best, and it may just take a quick phone call to our Charleston dentist office at (843) 795-5565. And if you are in for your regular cleaning and visit, ask our team what they think would be best for you. Make it part of the conversation, and we could help you narrow down your toothpaste choices. Southern culture is known for many things—good food, sweet tea, hospitality, seersucker, and the accent. But perhaps the most basic and most essential parts of Southern culture are the smiles that light up the faces of its people. Without a friendly Southern smile, the other things lose their sweetness. Take Charleston, SC, for instance, where we are known for our rich history and Southern charm. But those things are intimately linked to the friendliness of our people—people who are known for their smiles. A good smile is extremely important here in Charleston—and everywhere, for that matter. Smiles communicate friendliness and welcome. They put people at ease. Smiles leave a positive impression on others, and can have a calming affect on you and the people around you. Any employee that works face-to-face with customers or clients knows the important disarming effect of a smile. Did you know that smiling also reduces stress? People want to talk and be closer to someone who smiles. If your teeth are dingy, stained, and showing signs of decay, it can greatly diminish the positive impact of your smile. With so many things threatening the health and beauty of smiles, whitening has become a quick, easy way to restore the teeth’s radiance. So why do teeth change color? There are a variety of reasons. One cause is tartar—bacteria in your mouth that mixes with proteins and food residue and coats your teeth and gums. Your age and genetics can have an affect on the color of your teeth. Certain antibiotics can also stain your teeth. And then there are the typical dark foods and drinks that affect tooth color—wine, soft drinks, tea, beets, soy sauce, kale, berries, food dyes, tobacco products and smoking, tomato sauces, etc. There are also three things that wear away the enamel of your teeth and make them easier to stain: chromogens (compounds with strong pigments), tannins (plant-based compounds), and acids (make enamel softer, rougher, and easier to stain). 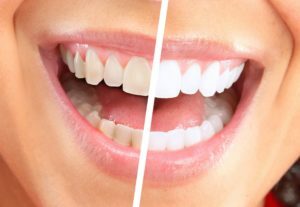 Now if you’re wondering, should I whiten my teeth?, here are some great reasons to consider teeth whitening here in Charleston, SC. It lifts your mood and self-confidence. It helps you leave a great first-impression. It aids in achieving a younger-looking appearance. It positively reflects how friendly you really are. There are also some things you will need to keep in mind to maintain your results. Continue to visit your Charleston dentist regularly to help monitor any new staining. Try drinking with a straw so that you can minimize the contact with your teeth—especially with darker pigmented and sugary drinks. Rinse your mouth after you eat or drink (especially if a toothbrush is not readily accessible), so that you can remove residue that could remain behind and cause problems with your enamel. And of course, brush right away, when possible. Carry a travel set in your purse or travel bag, or keep a toothbrush and toothpaste in your desk at work. Southern foods—especially like here in Charleston, SC—are rich and wonderful, but can also pack quite a negative punch when it comes to the glow of your teeth. If you would like to talk more about the process we use and how it might help you, please let us know. Teeth whitening in Charleston can be a relaxed and easy process, and takes as little as 20 minutes. Achieving a beautiful smile that reflects your personality is more attainable than ever. Get a brighter smile by using our easy online appointment request, and let us know that you are interested in teeth whitening. We think we have a good idea of which foods we should avoid for the health of our teeth—things like soft drinks, candy, cookies, cake, and other sugary foods. We are also aware that citrus is so acidic that it can wear away at our teeth over time. But there may be some foods lurking out there of which you are not aware. Pickles – Most of us don’t think about the fact that the vinegar used to make pickles has a really high acidity. This acid can wear away at the enamel of our teeth over time. Snacking here or there is ok, as long as you maintain regular tooth care. However, according to Health Magazine, eating them more than once a day increases your chances of tooth decay. Sports drinks – If you’re looking for a good alternative to soft drinks, sports drinks are not the option you should choose. You may be tempted to think that they carry lots of sugar too, but it’s actually their acidity that can cause major problems for your teeth. Saltine crackers – While saltine crackers may seem harmless, they are actually one of the very worst foods for your teeth. SheKnows.com actually says that what most people don’t realize is that saltines are highly genetically engineered, causing their glycemic index to be much, much higher and more cavity causing…even worse than candy! Sticky foods – When you think of sticky foods, your mind might immediately picture caramel or Tootsie Rolls. However, sticky foods include things like dried fruits and trail mix, too. These sticky foods stick to your teeth much longer than other foods, which is what makes them so dangerous for your teeth. The ADA recommends rinsing with water after eating these types of foods and continuing with your daily tooth care. Chewable vitamins – If you or your children take chewable vitamins, watch out! In order to make these vitamins palatable, their makers add lots and lots of sugar. Combine this with the fact that chewable vitamins can easily get stuck in your teeth, and you have a recipe for cavities. 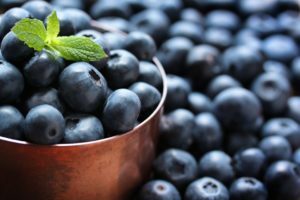 Dark foods/drinks – This includes everything from coffee, tea, and red wine to things like beets, soy sauce, kale, and berries—anything that has a really deep pigment. So why are dark foods and drinks so bad? They can cause deep and permanent staining of your teeth. To help prevent this, make sure you rinse your mouth thoroughly right after eating these types of foods. The most important thing to remember with these surprise tooth decay culprits is to take care of your teeth after consuming them. A little splurge here and there is ok, as long as you don’t allow them to stay on or in your teeth very long, and continue to rinse, brush, floss, and visit your dentist on a regular basis. If you have noticed changes in your teeth, or see them visibly yellowing or staining, please let is know so we can show you some of our easy, no fuss options. Use our convenient online appointment request form. We would love to help your teeth be as beautiful as they can be. Sometimes it just takes a simple change to achieve the smile you’ve always wanted. Some of the craziest times in a woman’s life are when she is pregnant, and after she has delivered her baby. “Pregnancy brain” can contribute to all kinds of problems like forgetfulness, and wondering (half-way through the day) did I brush my teeth this morning? And after the baby is born it can be hard enough to remember to brush your hair, let alone brush your teeth. But that’s why dental care during (and after) pregnancy is so important. Many, many women complain of getting cavities either while pregnant or during the first few months postpartum. Sometimes it is the first cavity in their lives. There are a lot of changes that happen in a woman’s body with pregnancy. They deal with hormone fluctuations, morning sickness, heartburn, and acid reflux. New moms also have a lot happening in their daily routines, and face hormonal changes with lactation. Sometimes these changes can affect their oral hygiene routine. And both groups of women could also notice changes in their diets and new cravings for more sugar-laden foods. An article from U.S. News & World Report, mentions that fluctuation in hormone levels, a decreased antimicrobial capacity in a pregnant woman’s saliva, and food cravings/aversions can all contribute to a greater number of cavities and a decline in oral health for both pregnant and postpartum women. Some women may notice that their gums look more red, and may possibly bleed when they brush their teeth while pregnant (sometimes referred to as Pregnancy Gingivitis). Some have also reported severe sweeping and bleeding. Other issues could include Pregnancy Granuloma (red nodules found on the gums), tooth erosion, dry mouth, and excessive saliva. Keep brushing with an ADA-accepted fluoride toothpaste, two times each day. Eat a balanced, healthy diet. Snack in moderation. Avoid sugary foods. Drink water regularly, and avoid juice, fruit-flavored drinks, and soft drinks. Visit your dentist on a regular basis to get a professional cleaning and check-up. Make sure you tell your dentist’s office if you are pregnant, or have noticed any changes in the health of your mouth. Your dentist may recommend an anti-microbial mouthwash. If morning sickness is affecting you, the ADA says to try rinsing with a teaspoon of baking soda mixed with water to keep stomach acid from causing damage to your teeth. Regular visits to your dentist are important, especially during pregnancy and after. Visit our Web site for more on the importance of regular dental visits. With all the sugary temptations for kids, it’s more important than ever to teach children healthy tooth brushing habits. Make sure your children are getting a balanced diet, and brushing their teeth every day, two times each day. There are tons of fun tools to make brushing your teeth fun for kids, too. We will include some links to those resources at the end. Cleaning: To clean baby’s gums, use a clean, damp washcloth and wipe them down after each feeding and before bedtime. On average, a baby’s first teeth begin to push through the gums at around 6 months. According to the American Dental Association tooth decay can begin as soon as teeth start appearing. Cleaning: Keep brushing your child’s teeth two times a day with a very small amount of fluoride toothpaste—about the size of a pea. Once the child has two teeth that touch, begin flossing their teeth every day. There are lots of fun kid-friendly flossers you can find at any number of local drug stores. Cleaning: This is a great time to begin teaching your children how to move the toothbrush around their mouth. Continue to help them until they are able to brush effectively on their own. Brush your teeth with your children, so they can watch you and observe how you move the toothbrush. Also begin teaching your child to not swallow the toothpaste. Follow the twice-a-day rule with teeth brushing, and use a small, pea-sized smear of toothpaste on the toothbrush. Sealants: To prevent cavities in hard-to-brush areas of your child’s mouth, we often use sealant. These are a plastic resin material that is “painted” onto the tooth and effectively seals out cavity-causing plaque and food. Sealants are strong and can last several years before they need to be reapplied. 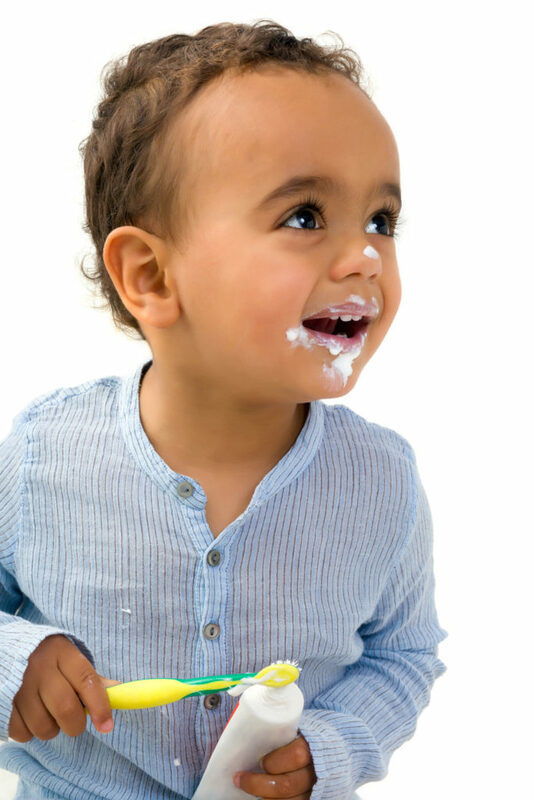 Diet: A balanced diet also aids with kids’ tooth health. This is one of those areas that affects many areas of your child’s health. Healthy kids usually have healthy teeth. Thumb sucking and Pacifiers: It’s no mystery that these issues can drastically affect the proper growth and develop; eat of your child’s mouth and teeth. Part of helping your children stock thumb sucking includes lots of positive affirmation—praise your child when they are not sucking. We can offer lots of other advice and encouragement for how to help your children break the habit of sucking. Please feel free to contact our office at (843) 795-5565 for further assistance or advice, if any of these are a continuing issue for you, or if you would like more information. Be sure to access our online guide to kids’ dental care . – Tooth care games & Tooth Defenders app for kids from Colgate. – Kool Smiles app—includes a brushing timer and Kool Smiles Coloring Sheets. – Mouth Health Kids from the ADA—includes videos, games & quizzes, activity sheets, and more. A good dental hygiene routine is important, but it is even more important when you have braces. If your child has braces, there are certain things they should be doing to make sure their teeth stay healthy during their treatment and after the braces come off. If your child does not have braces yet, and you are anticipating their need for them, make sure that you brush up on the facts about dental braces for kids first. 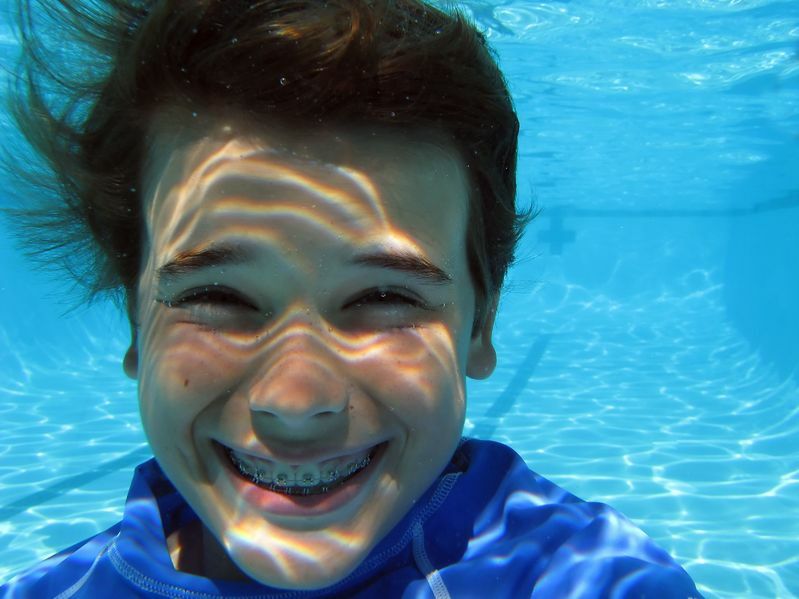 There may be some factors you need to consider before jumping on the braces-train. The prospect of teaching your child to care for their teeth with braces can seem intimidating at first, but after they get the hang of it, it becomes like any other routine. Just like they did before they had braces, the same rules apply: floss, brush, and rinse. But with braces, there is a bit of extra diligence required. There are a couple of more things to be aware of when flossing and brushing with braces. After getting braces, your orthodontist or dentist will likely send you home with some flexible floss threaders. These will allow your child to thread the floss under the braces wire and then floss their teeth like normal. They will continue to do this for each tooth. When brushing, have your child brush as they have done before. However, they will also need to brush above the brackets, and below them. This is a simple added step, and will allow the braces to stay clean and particle-free. You will also go home with what is called a proxabrush, but they can also be purchase from a variety of stores. This is a little bristled brush that is designed to get in between all the nooks and crannies of your child’s braces, to make sure no food particles are left behind. Eating is one of the things that becomes a bit more complicated with braces, as some of them can actually damage braces. And since dental hygiene is so much more important with braces, these foods can actually cause a greater amount of damage to your child’s teeth. Here are some foods to watch out for with braces. Any chewy, gooey, sticky, or hard candy – sorry. Extra sticky or crunchy peanut butter – perhaps it’s a good time to switch to smooth. And now is a good time to help your child break those habits of chewing on ice, fingernails, pencils, or pens. Don’t worry—your child’s chances of getting hit in the mouth do not go up just because they have braces. However, it is a risk, as it is for everyone who plays and does not have braces. Mouth guards are recommended even without braces, but there are mouth guards specifically designed for braces, and we would certainly recommend that you get one. It will not only protect the braces, but will also protect your child’s mouth as a whole. Even though it may seem like there is a lot more to remember when it comes to dealing with oral hygiene and braces, know that it becomes routine once you and your child get used to it. And know that this will only be a small portion of your lives. There will be an end to it, and neither of you have to be miserable in the process. We are here for you if you have any questions, or want to know if your child needs a corrective dental treatment like braces. Simply contact us with your questions or to set up an appointment.